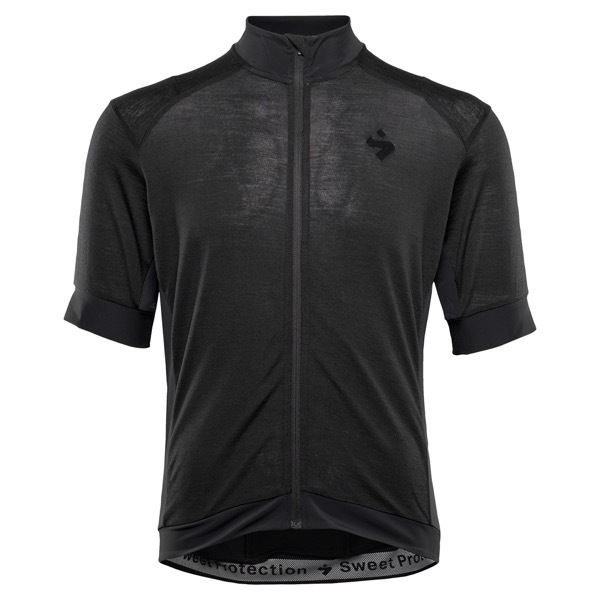 The Crossfire Merino SS Jersey is a classic bike jersey combining technical performance with minimalistic design and Merino wool. The Jersey is a hybrid construction made of Merino wool and panels of synthetic material, designed to sit next to skin for the perfect bike fit. Being nature’s own technical fiber Merino wool insulates when it´s cold, yet super breathable during high-intensitive activites. The versatility of the fabric is further improved by synthetic panels for durability and longevity. The gripper areas inside the sleeve openings and lower back ensure that the jersey stay in place during activity. The spacious pocket center in the back; consisting of three open pockets and one zip pocket reachable from the side, let you to bring your ride essentials along for the ride.